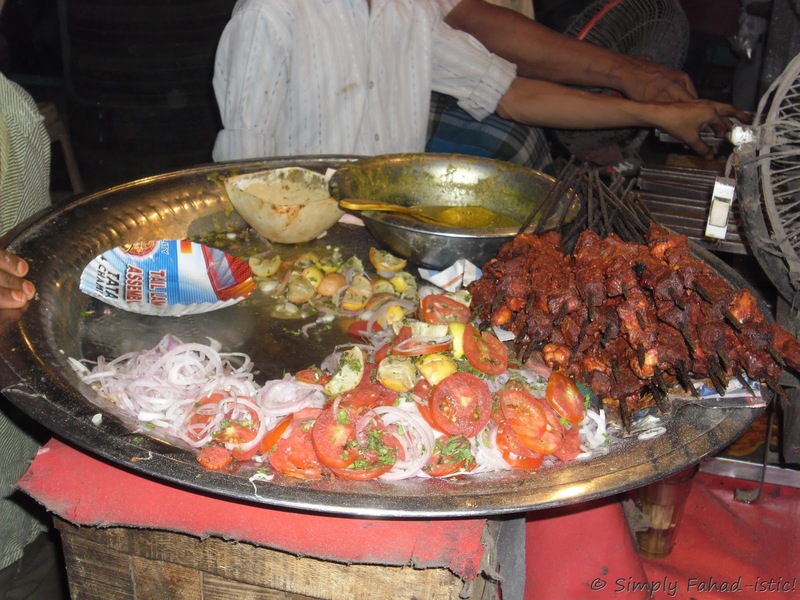 Date With Mughals: Seekh Kabab - Simply Fahad-istic! 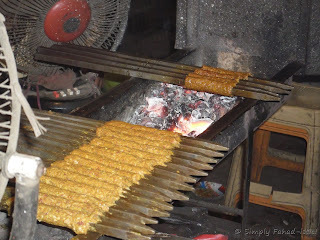 Seekh Kababs being cooked in traditional manner,over burning charcoal. Well I really believe 'Seekh Kabab' should be introduced as a synonym of 'temptation' in the Oxford English Dictionary.Don't you think so?Try these kababs,the lifeblood of Mughlai cuisine and you will begin to think otherwise!Ground meat is mixed with fresh herbs and selective spices,then cooked on metal skewers to a preparation that is full of flavor. Grind the beef mince along with onion,cilantro,green chilies,garam masala,yellow chily powder,red chily powder and salt in a food processor till it becomes very fine and almost dough-like.Take out this spiced mince in a bowl,and add to it the ginger-garlic paste and egg.The egg will bind the meat together and prevent it from breaking,when shaped into kababs and cooked later.Mix very thoroughly with your hands. Now,to check seasoning,heat a few drops of oil in a pan,add a spoonful of meat and cook.Taste and correct salt/yellow chily powder/garam masala in rest of the mince if required. Let it rest in the refrigerator till serving time.This will allow the flavors to marry and steep in the meat nicely. At the time of serving,pre-heat the oven to 235 degrees C/455 degrees F.Thread the mince onto metal skewers with your wet hands,spreading it along the length,making one to two kababs per skewer.Each kabab should be around four inches in length.Place the skewers in the oven,and toast for 12 minutes,till the kababs become browned.Then,brush the heavenly smelling kababs with butter and cook them further for 5 more minutes. Remove the ready hot,soft and succulent kababs from the oven carefully,and transfer to a serving platter.Sprinkle chaat masala and put lemon wedges,onion and tomato slices on the side.Dig in,and re-discover the word 'temptation'! 1. The mince should not be watery,or you will face difficulty while shaping it into kababs.It should be put in a strainer for half an hour if the need be,before starting the recipe to drain excessive moisture. 2. While many chefs taste mince after mixing spices in it,right out of the bowl,trying raw meat is not recommended since it can have effects on one's health.Hence,frying a spoonful of mince in oil to check seasoning is a better option. 3. If you don't have an oven,seekh kababs can be cooked in an electric tandoor. 4. Cook the kababs as per time given in recipe or till they are ready.Never overcook,or they will lose their juices,causing them to become dry. Try using this recipe with mutton,lamb or chicken. An array of accompaniments and garnishes used for kababs and tikkas.Includes tomato rings,onions,lemon wedges and chaat masala. Mughal Cuisine is incomplete without its kebabs. Thank you for patiently explaining the recipe and make it appear so easy. I will ask my spouse to make it for me ! 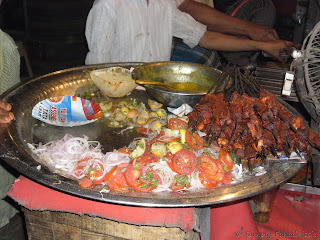 The BEST Seekh Kabab I have ever tried!